Thumbs are very useful things! 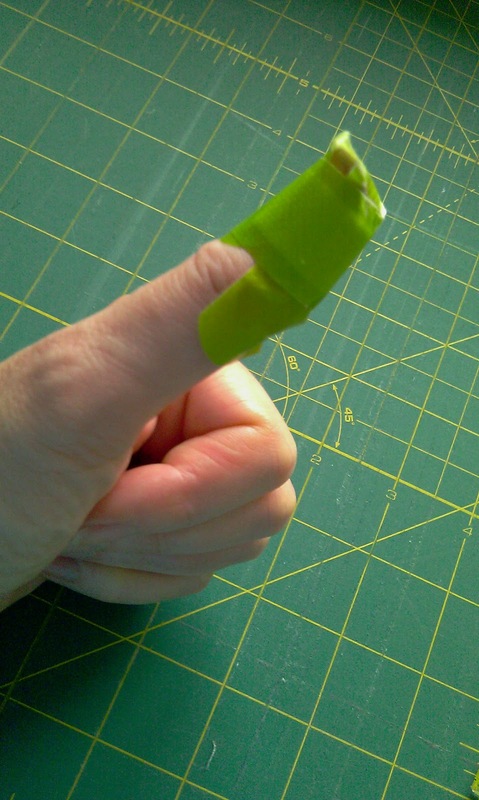 Aren’t thumbs just the best invention ever (apart from the Pfaff sewing machine of course!). You just don’t realise how important they are until you can’t use one! All I’m going to say is that a newly sharpened vegetable knife & a potato conspired against me! Especially when trying to tackle something as fiddly and annoying as Cathedral Windows!! Now I know what you’re thinking: ‘that looks ok … all those points are meeting up … can’t have been that bad!’ Right? Please don’t look too closely, some of the points are horrifically off! So, no surprise, the new design will also be involving buttons! 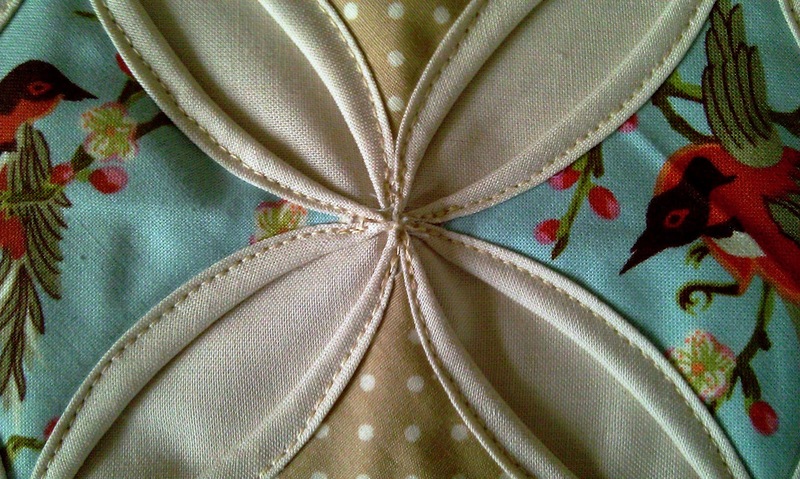 I’ve still the other half windows to finish and then to magically turn it into a cushion for mum. Isn’t it fortunate that I’ve a poorly thumb to blame on my rubbish windows!!! Hope you’ve had a knife free day!